This American made boot knife was designed by Tim Galyean. This is a great deal! The steel is S30V and the craftsmanship is superb. 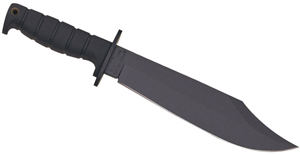 The dagger blade features full-tang construction and non-reflective Tungsten DLC coating. For a superior grip in all weather conditions, the grooved handles are 3-D machined in matte-black G-10. The sure-grip handle is drilled to accept a lanyard. Includes Kydex® sheath with MOLLE compatible, multi-carry configuration. The tactical folding knives from Hogue are high quality, beautiful production models of custom designs from Allen Elishewitz. Following the success of the EX01 and EX-F01 models, and the first liner locking model from Hogue; the EX02 we now have the more economical EX3 series of folders. This series has polymer handles and the button lock system found on the EX01 series. Available in two different sizes and blade configurations, you have a choice between the drop point model and the wicked sharp tanto design. This is a Hogue knife designed by Elishewitz that we all can afford! They can be found at www.knifecenter.com. There are few outdoor activities you can practice within the comfort of your own home or office. When we discovered the satisfaction of hitting a 1′ target across the office with a small dart shot from a blowgun, it changed the office atmosphere altogether. Stress levels have dropped significantly, and employees treat each other with greater respect now. The blowguns from Cold Steel are surprisingly accurate, even with little training. The blow guns are available in 4 or 5 foot lengths, with an optional 2 foot extension. 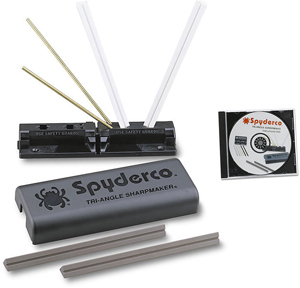 We have found that additional length adds to the range and accuracy. A quiver attached to the blowgun keeps track of a dozen darts. There are several variations of darts for those who go beyond target practice. Happy shooting from www.knifecenter.com! The new Strike Fighter knives from Ontario are well designed, stout back-up tools meant for any military or law enforcement personnel. 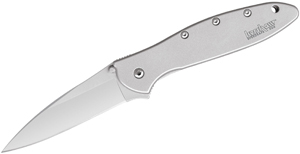 The handle shape and texturing are borrowed from the successful XM-1 Military folders and made from removable black Micarta slabs. Each knife comes with an excellent plastic molded friction fit sheath that secures the knife tightly without rattling and has an attached Tek-Lok from the factory. There are two sizes of the fixed Strike Fighters available – the SG-3 with a three inch blade and the SG-2 with a stubby two inch blade. It beats me why anyone would need such a little fixed blade, when the SG-3 model can do everything it’s smaller brother can plus much more. Overall, these are very comfortable and durable new American made designs that will not fail you when you need them. Check them out at www.knifecenter.com.